The National Ladder has been updated, and a few pilots have moved up as a result of flying in the recent Auckland Regional Paragliding Competition. You can find the latest ladder here. The Christchurch Club is hosting the first Regional Paragliding Competition of the 2016/17 season. 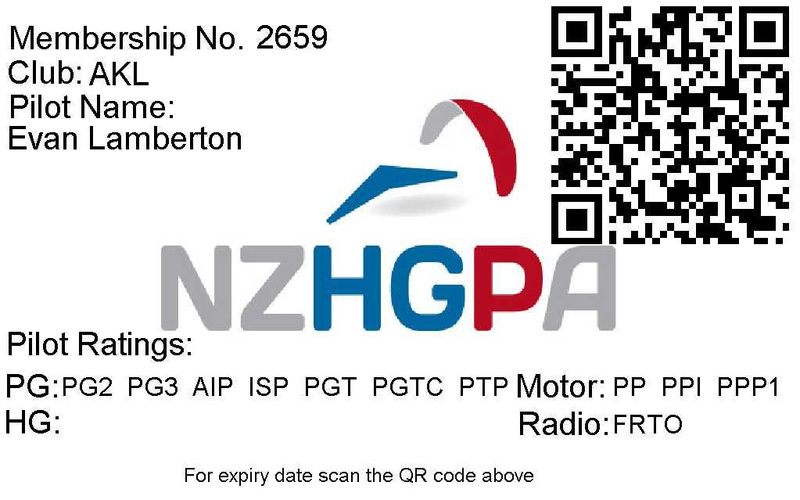 All qualified NZHGPA member paraglider pilots are welcome. This will run over Labour Day weekend, 22-24th October 2016, inclusive. Postponed to the 5th - 7th November 2016. The comp will be held at the Craigieburn site, and is organised by Michal Talavasek and Mark Hardman. There will be a training day on Friday 21st of October, designed to help newcomers and low airtime pilots to familiarise themselves with comp talk, strategies, instruments and geography. Also, if enough people confirm will stay overnight for one or more nights, we can arrange to rent a house at Castle Hill village and also use it as headquarters for the weekend (to book contact Michal). A BBQ will be available for everyone to use. Bring your camp chair and guitar. There is no on-line registration system - please use the contact details below for further information and to express interest. Results from this comp can contribute towards your national ladder position. Castle Hill area is spectacular on its own and offers cool sights and activities for all. The rock climbing/bouldering is great and there is even a cool cave to explore nearby. The Minutes of the 2016 Annual General Meeting are available. As of 25th October I will be moving house and changing my address. Please understand that it may take a few days to have my office up and running again. I have a redirection order in place but please do remember to use the new address wherever possible. All other contact details remain the same as currently on the website. If you have my old home phone number or private cell phone number please now use the NZHGPA cell ph 027 202 1806. From the 1st October you can begin renewing your membership for the year to 31 Oct 2017. Just log in to the members area either by clicking the members tab at nzhgpa.org.nz or by following this link Join us. Please pay using the online options if at all possible. Payments sent by bank transfer or by cheque can be accepted but they create a lot of extra work for our administrator at a busy time so please avoid them. The new membership cards will come with a QR code on them that links to your online public profile. This contains your ratings and membership expiry date. This card will be a permanent card and will not need to be replaced unless lost, stolen, damaged or you need an update to get new ratings added. It is important that you carry this card at all times when flying and produce it on request. A simple phone app will scan the QR code and allow anyone to verify the membership status and expiry date. Here is an example of how they will look. Other fees can be found here Fees. It is the policy of the Paragliding Competition Committee to encourage Regional Competition organisers to obtain a FAI Cat-2 sanction. In previous seasons the PCC has picked up the tab for this, when it was 20 Euro. However, the FAI / CIVL have now increased the minimum sanction fee to 50 Euro. The PCC will, until future notice, offer to fund 50% (25 Euro) of this cost if the organisers obtain FAI Cat-2 sanction. Just a quick note that registrations for the PG Open 2017, to be held in Rotorua from 26 Feb – 4 March, are now open! Entry fees are $160 if paid before 31 Dec or $200 afterwards. This will be the only round of the PG Open for 2017 and, in case you need an extra incentive to enter, one lucky pilot will be drawn out of a hat and win their entry fee back thanks to Nick Taber at Mac Para NZ. Accommodation will be in hot demand at that time of year, so pilots are encouraged to get in quick and make reservations with the Rotorua Thermal Holiday Park. If you mention that you’re with the PG Open you’ll also receive a 10% discount off the standard room rate. There will be only one round of the PG Open in the 2016/17 season. The PCC requires bids to hold the event sent to them in writing before the end of May 2016. Please use nzhgpapcc@googlegroups.com to send your bid. PG Open organisers are heroes. Pasted below is rule 1.6.1 regarding the selection of PG Open rounds. Potential Organisers of PG Open Rounds should send their submission to the PCC by the 30th of May each year, or as otherwise notified by the PCC prior to that date. The PCC has the right to move this deadline if notification is made on the NZHGPA website. The locations and dates of the following season’s events will then be decided by the PCC and published in the next available Airborn Magazine, announced on the NZHGPA website and added to the Competition Calendar on the NZHGPA website. When selecting PG Open Rounds, preference should be given to having one in each of the North and South islands. It is also possible to have one in Australia. Preference shall be given to competitions that meet the requirements of FAI Cat 2 and are sanctioned by the FAI. Preference will also be given to varying the location of the PG Open rounds between seasons. If, in a year when two PG Open rounds are allowed, and less than two bids have been received by the stated deadline then there may be only one round. The following year then reverts to a two round competition. I will be on holiday from 9th until 17th January but may have intermittent access to data and Wifi during that time. Please expect that you may not get a response to your email/application for 3 or more days. If your issue is urgent please contact Evan Lamberton on ceo@nzhgpa.org.nz. Extreme Fire Risk likely in February. All vehicles must carry a Fire Extinguisher of at least 0.9 Kg, and a shovel. No smoking at all launch and landing areas. That means you Max!